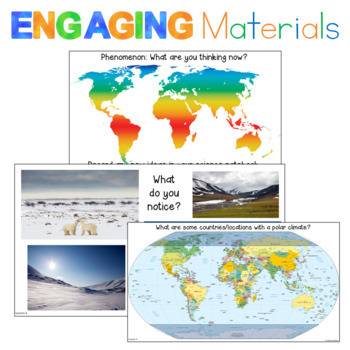 This NGSS earth science unit includes lesson plans, science notebook prompts/pages, and engaging materials. 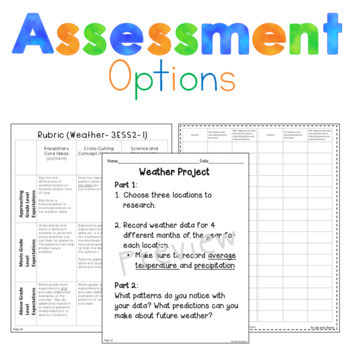 Third grade students will will analyze and interpret data and look for weather patterns across the United States. They will also obtain, evaluate, and communicate information and look for patterns with global climate. 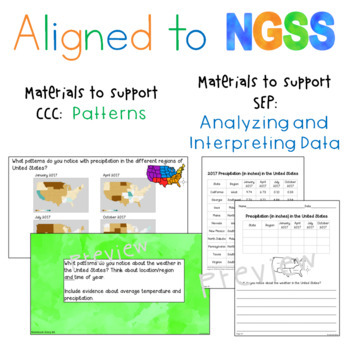 It is aligned to NGSS and integrates science and engineering practices, cross-cutting concepts, disciplinary core ideas, and performance expectations. 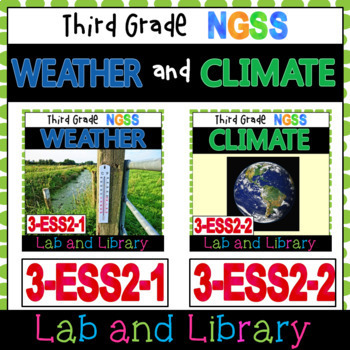 Bring NGSS to your classroom tomorrow! Click on the green star to follow me for new products and sales!